At Myers Orthodontics, we strive to provide high quality orthodontic care while maintaining a fun, friendly office environment. Dr. Myers and our highly trained team of orthodontic specialists treat every patient individually, and we have the skills and experience to make every visit to our office a pleasant experience for all involved - even the little ones. And in many cases, those patients are littler than you might think! While you may already know that it's never too late for orthodontic treatment, for other patients, the earlier the better. In keeping with the American Association of Orthodontists, we ask parents to bring their children in for an initial examination at age 7. So what makes evaluating early so important? Crossbite: Severe crossbite is a condition in which the upper teeth sit inside the lower teeth, and it can impair bite function and cause TMJ problems later in life. By treating this early we can use a device called a palatal expander to slowly, painlessly widen your child's upper jaw, creating more room in the mouth and permanently treating crossbite. But this technique only works at a young age, before the jaw is fully developed - if treatment starts too late, this condition can require complicated procedures like oral surgery to correct it. Crowding: Severe crowding occurs when the jaws are too small to accommodate all the permanent teeth, and if corrected early, we can treat it with a palatal expander as well. Even if your child needs braces again during adolescence, their overall treatment time will be reduced and their treatment will be less complex. Protruding Front Teeth: When the upper front teeth stick out too far, they can be prone to chipping, damage, and trauma - so it's best to treat them as soon as possible to prevent this. 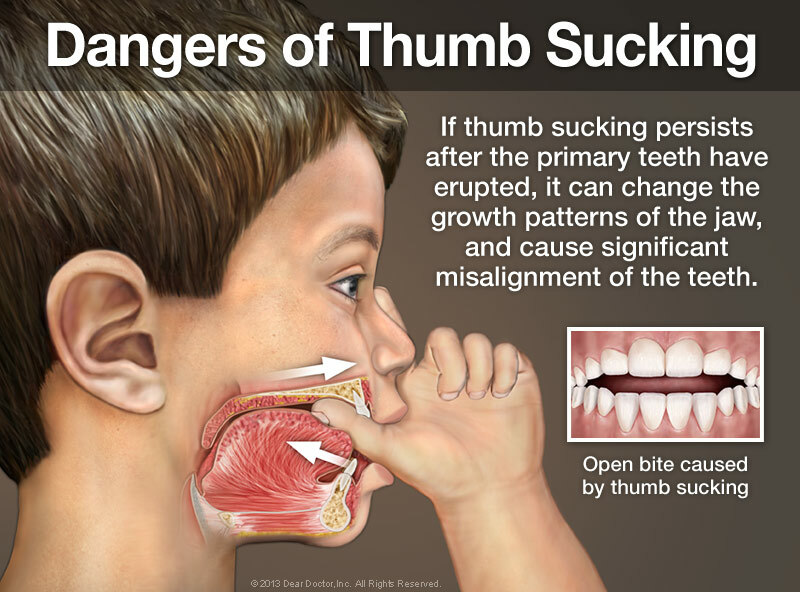 Underbite: Severe underbite, when the lower jaw grows out past the upper jaw, can also cause problems in the bite function and smile of a child. We can treat this condition much more effectively by starting early. Another case where early intervention might be called for is in the case of parafunctional habits - habits that can cause problems in your child's smile or oral development. 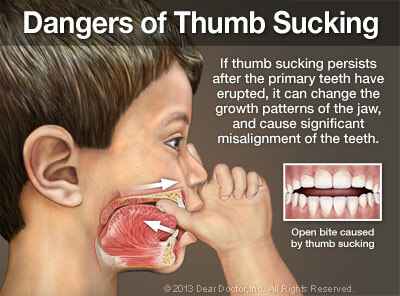 Thumb sucking, while a normal reflex in children from 0-4 years old, can cause a condition called openbite if carried on for too long, and mouth breathing, an abnormal breathing pattern where the mouth stays open constantly, can alter the musculature around your child's mouth and face. 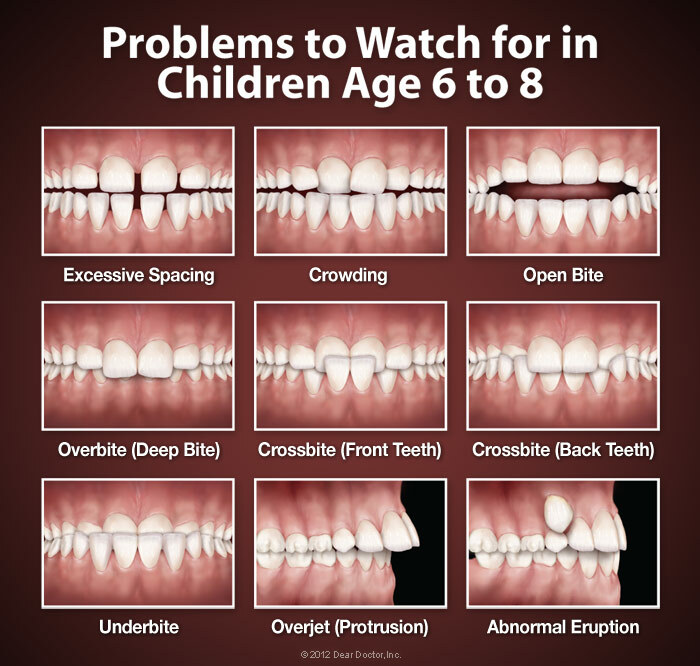 In both of these cases, we can use orthodontic treatments to correct these habits and avoid development that's detrimental to the health and function of your child's bite and smile. And in most cases, the sooner we start, the better - which is why it's critical that you bring your child in for evaluation no later than age 7. Have more questions about early treatment or want to schedule your child for an evaluation? We're here to help! Feel free to call us at (865) 687-6560, reach out to us at our contact page, or use our easy online form to schedule an appointment at either of our Knoxville, TN offices. We can't wait to hear from you, and we look forward to helping your child achieve a healthy, beautiful smile that will last them a lifetime!